In a controversial attempt to raise awareness within the Philadelphia pet-owners community, the Philadelphia Animal Welfare Society (PAWS) is featuring photographs of 12 euthanized pets from 2015 in its annual photographic calendar. 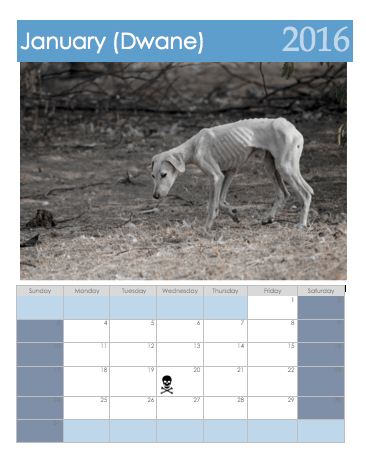 “We hope this calendar not only serves to commemorate our furry friends that didn’t make it, but also to encourage people to adopt in the upcoming year and prevent these sad situations from recurring,” the spokesman added. According to PAWS, the change in tone from the local animal rights organization is part of a larger push to raise awareness in the community. PAWS has also been implementing new protocols designed to keep potential adopters from getting cold feet, such as sending death certificates and mounted dog corpses from taxidermies to potential owners who declined adoption.